Whether you are moving to a house in Red Bank, New Jersey, or relocation your business elsewhere, chances are you have a lot of things that need to come with you. With the average Red Bank house having 3 bedrooms and 6 rooms, relocating everything can be a major undertaking. Optimum Moving makes it fast, safe and convenient to move for all Red Bank residents and future residents! Call or request a quote online to take advantage of our 100% guaranteed flat rate pricing, our free insurance, or any of our other services. We’ve worked with families from all over New Jersey, including Red Bank. When people decide to live in Red Bank, they are in it for the long haul. This is a large but quiet community with lots of amenities. It’s no wonder that 51% of its 12,187 residents live in the same house for 5 years on average! 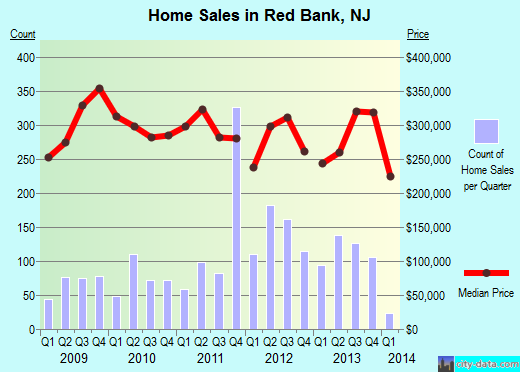 The average house in Red Bank costs $379,233 had 3-4 bedrooms and 7-8 rooms. Home owners live in their residence for 13 years and renters stay for an average of 5 years. Roughly half of the people moving into Red Bank come from other parts of New Jersey and would only need a short distance moving crew. Want to learn more about a Red Bank Move?